Human rights groups called on European governments on Sunday to tell a charity ship where it can dock and let more than 140 migrants rescued in the Mediterranean disembark in safety. 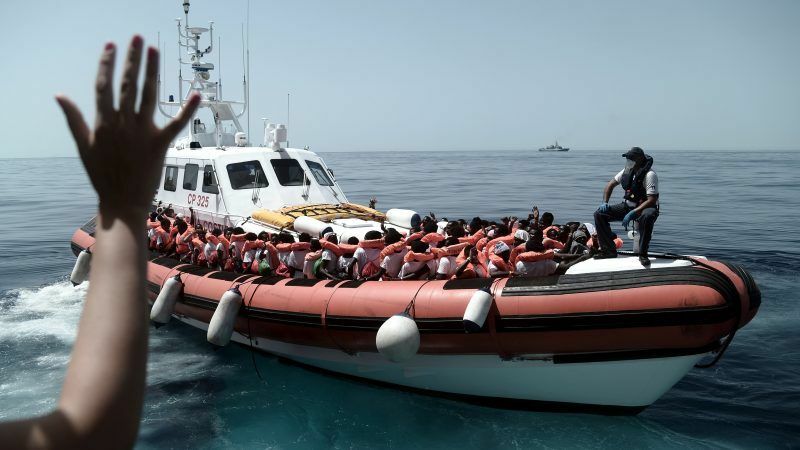 The boat had just started heading north on Sunday towards Europe when Libyan coastguards called it back to pick up 10 migrants spotted aboard a small fibreglass boat. 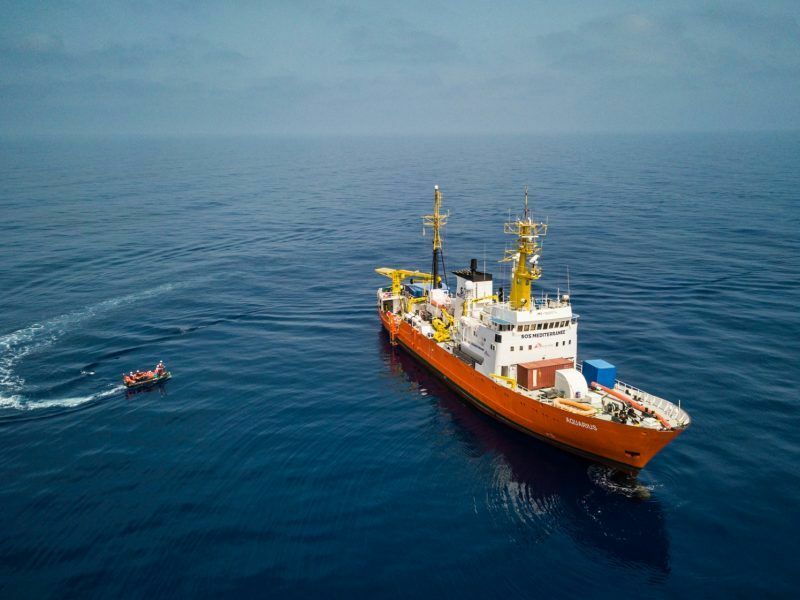 Italy said yesterday (21 June) that it would seize two rescue migrant ships, one of which is stranded in the Mediterranean carrying over 200 migrants, adding that they were “illegally” flying the Dutch flag. The Aquarius has operated in the central Mediterranean since early 2016 and says it has helped more than 29,000 people in distress, many of them, African migrants, who, until this summer, were brought swiftly to Italy without any incident. 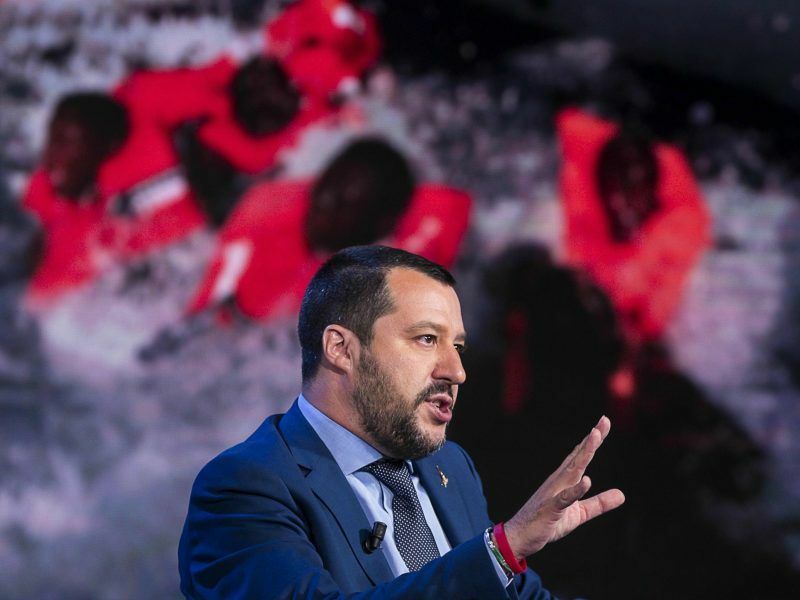 However, when a populist government took office in Rome in June, it immediately shut its ports to all NGO boats, accusing them of encouraging illegal immigration and helping human smugglers, charges the charities deny. Spain’s new prime minister ordered the authorities on Monday (11 June) to receive a rescue vessel carrying 629 migrants that has remained at sea in the Mediterranean after both the Italian and Maltese governments, the two nearest European territories, refused it permission to disembark. EURACTIV’s partner efe-epa reports. I will tell them where to disembark : Nearest port in Libya! Africa is full of safe countries and ports and they are also nearer than Europe. Take them there. Europe cannot afford to take more of these welfare shoppers caused by irresponsible population explosion. Trading the futures market is the best way to trade better than forex or stocks. To learn more just check the website Emini S&P Trading Secret.